As a small business owner, I know we spend our time focused on making our business profitable. Unfortunately, since our time is so focused on the here and now, very little, if any, thought is given to our exit strategy. The number one plan most small business owners have is they will, hopefully, be able to sell the business when they want to retire. The fundamental problem with solely relying on a future buyout alone is that future market and economic conditions are unknown. 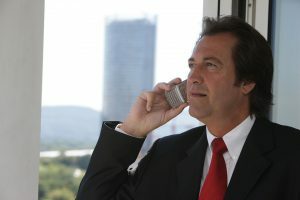 We certainly hope there will be a buyer for our business who will come to the table with an offer that will provide for us during our retirement years, but that is far from certain. 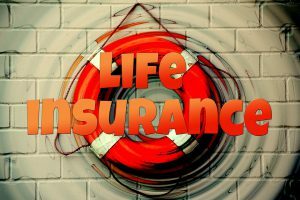 I know what you may be thinking—Life Insurance? Life insurance is for my family when I die, or maybe you have heard you should buy term and invest the difference. For this strategy to be effective, it must be a specifically designed policy, not one you go to your local insurance agent for. The fundamental key is to design the policy in a manner that allows for rapid cash accumulation while minimizing the insurance costs. The problem we have with a traditionally designed policy is it can take 15 or more years for the cash value to equal the premiums. To avoid this, the policy needs to be designed so there is as much cash value between years five and seven as we have paid for the insurance coverage. But how does this play into our retirement planning? By designing the policy to quickly accumulate cash value, the capital within the policy has the opportunity to compound tax free in the years prior to our retirement. Once we reach the age we decide to retire, we now have options. First, we can stick to the original plan and sell the business or pass it down to our children. But unlike relying on the sale alone to support us during our retirement, we also have the policy that has been growing over the years. At any point in time, we can begin accessing the funds from the policy tax free to provide supplemental retirement income. We are able to access the funds in the form of a loan that we may never intend to pay back. If we do have a loan when we pass away, the loan value simply gets deducted from the policy’s death benefit. The policy has provided the additional protection we need to help provide supplemental tax-free benefits, but what have we given up during the years we are growing our business? The short answer is nothing. Unlike a qualified plan such as a 401(k) where we are capped at borrowing a maximum of $50,000 or a SEP or an IRA where you cannot access the funds without tax liability and potentially a 10% early withdrawal penalty, with your Private Vault you can access the cash value at will. The money will be coming out as tax free loans, which give you the ability to purchase assets for your business without having to use traditional financing. There is no credit check or approval process; you simply fill out a one-page loan request, and the check is cut in a matter of days. The most amazing thing about this process is the loan can be structured in a way that, for growth purposes, the insurance company will be treating the funds you borrowed as still being there. There is no other option out there that compares to this. Integrating a properly designed cash value insurance policy into your retirement and business plan will provide you added security when you retire, while providing you the access to capital to continue to fund and grow your business.